One of my biggest New Year’s resolutions this year is to read more to my kids. We are a homeschooling family, so reading is not something we never do, but our favorite read-alouds often get pushed aside when our day gets too busy. I have decided to do poetry tea time with my kids once a week. Every Tuesday we enjoy a warm cup of tea, a new baked good, and a few good poems. 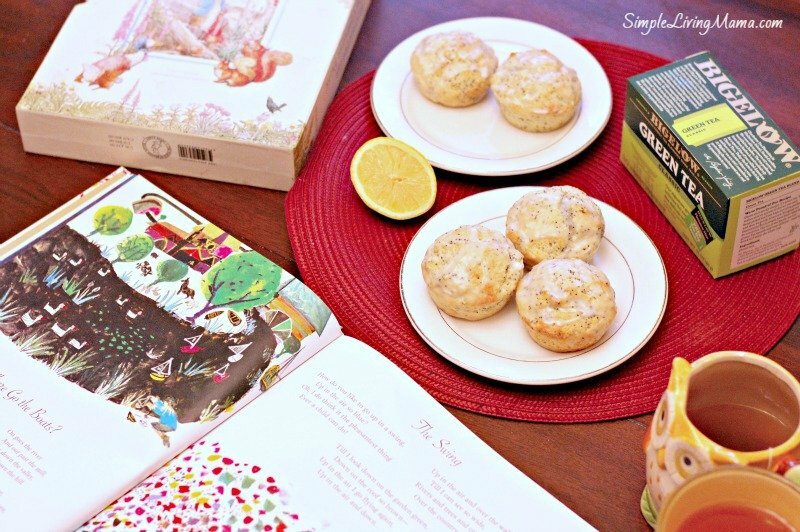 This particular week I made lemon poppy seed muffins while we enjoyed poetry by Robert Louis Stephenson. This is one of my favorite simple living recipes! 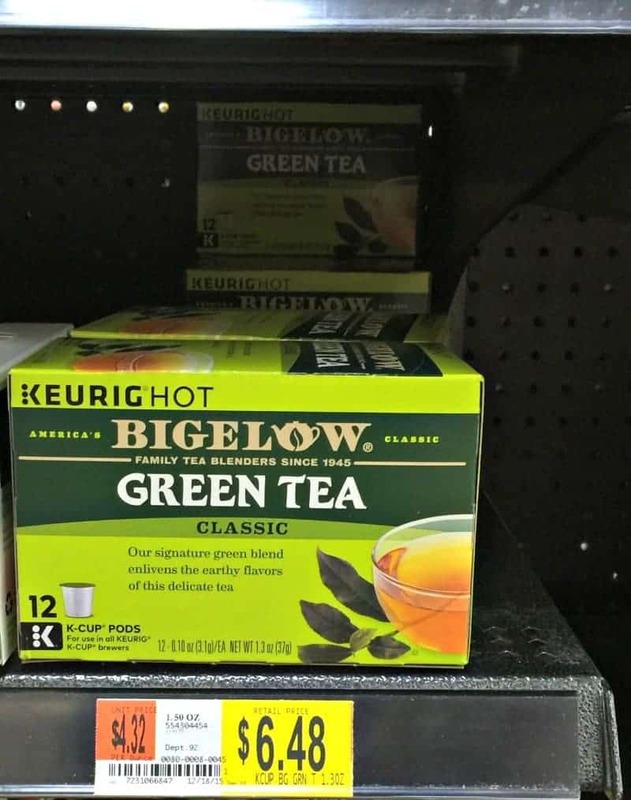 Our tea of choice is Bigelow. I found the delicious green tea and lemon ginger tea at Walmart. 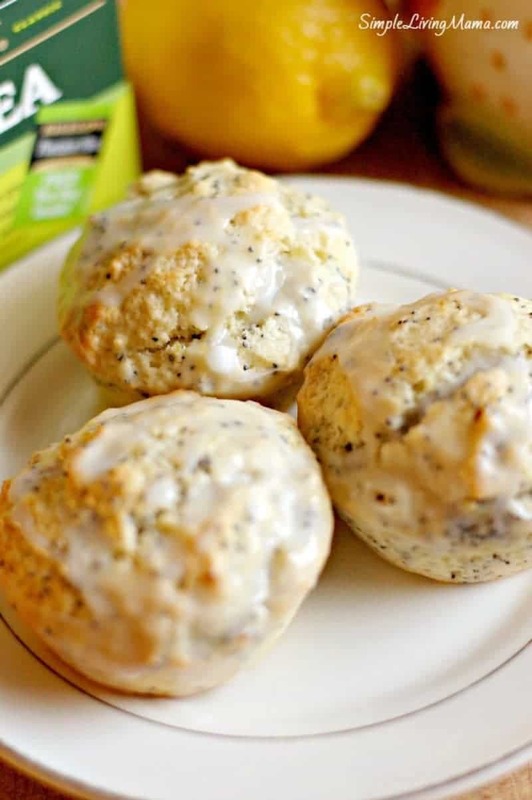 I’m going to show you how to make these scrumptious lemon poppy seed muffins. Baking with your kids is a great way to spend time together. 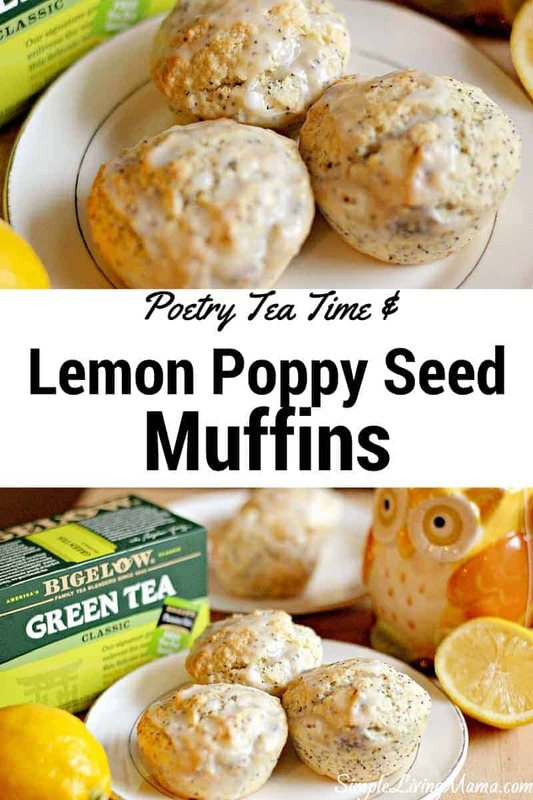 I love any lemon flavored baked good, so I thought this would be a wonderful treat for our poetry tea time. Preheat oven to 400 degrees. 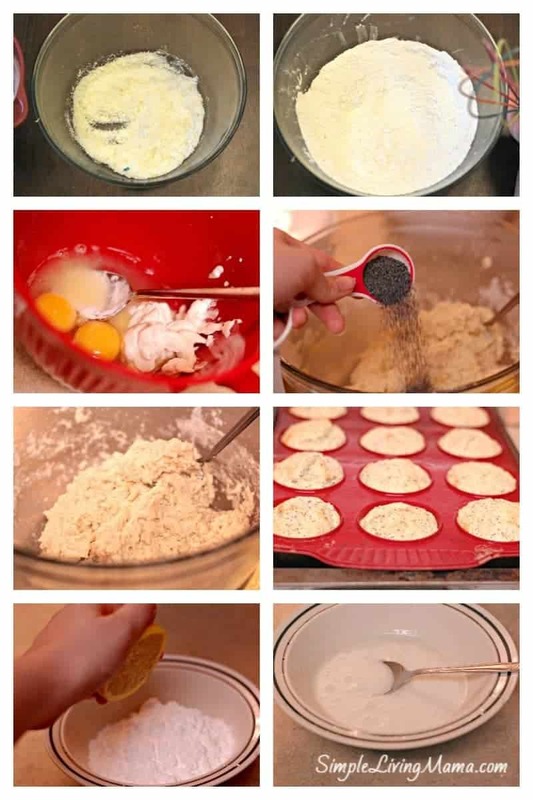 Prepare muffin tin by buttering or spraying with cooking spray. Grate zest into bowl and add sugar. Rub together until the sugar is moist. In a separate bowl, whisk together Greek yogurt, eggs, vanilla, and butter. Pour the liquid ingredients over the dry ingredients and blend. Do not over mix. Batter will be thick. Spoon mixture into 12 muffin tins and bake in the oven for 18-22 min. After muffins have cooled you can prepare the glaze. Squeeze lemon juice into confectioner’s sugar and stir. Spoon over cooled muffins. Then you will have delicious muffins to feed your family! 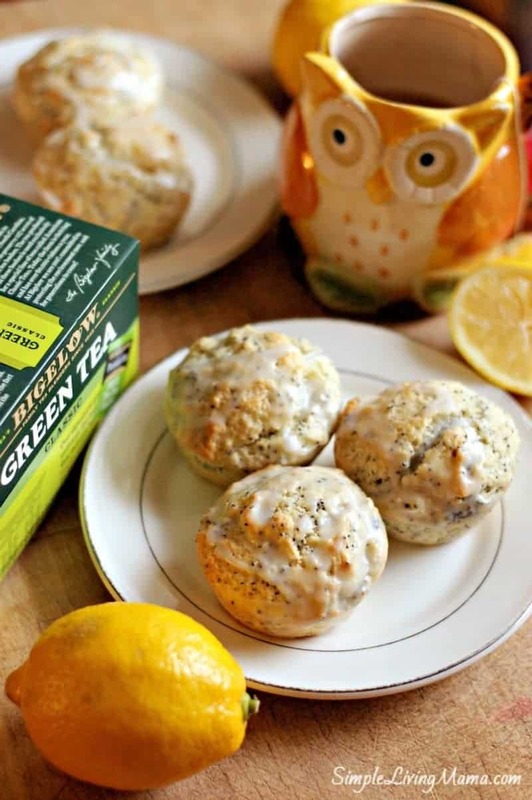 These are wonderful paired with Bigelow green tea, or the lemon ginger flavor. The glaze on the muffins is just perfect. I kind of love preparing lemon recipes in the winter. There’s warmth and sunshine in every bite. We really enjoyed our tea, lemon poppy seed muffins, and poetry reading! Real lemons and Greek yogurt combine to make a delicious muffin. The sweet tartness of the glaze is just perfect. If you love lemons, you'll love this recipe! Squeeze lemon juice into confectioner's sugar and stir. Spoon over cooled muffins. Learn more about Bigelow tea. What’s your favorite flavor? Do you enjoy special treats with your tea? Thank you. They do go great with Bigelow tea! 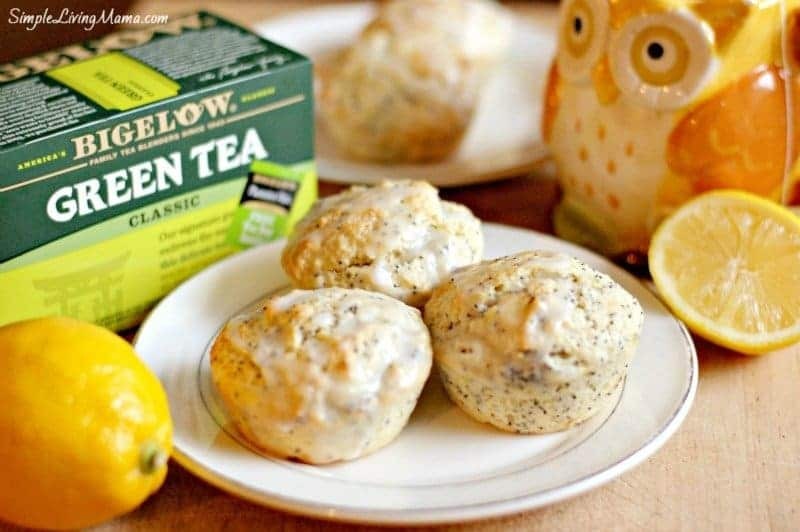 Oh I adore Lemon Poppy Seed Muffins. Thanks for sharing on the Creative K Kids Linky Party this week. I hope you will join us again next week. Could I substitute lemon oil for the zest and juice? If so, what would be a good amount? I’ve never used lemon oil, so I’m not sure.